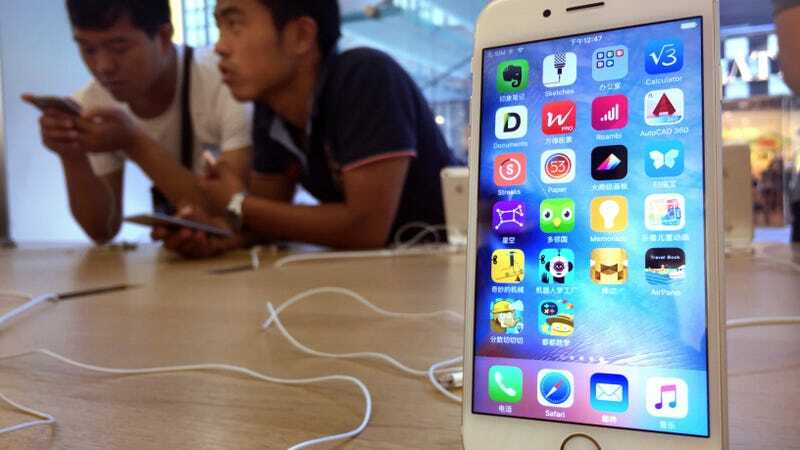 Apple Inc. appears to have complied with the wishes of Chinese censors and removed all major VPN apps from the China-based branch of its App Store, a move which will make it harder for consumers to dodge the country’s pervasive restrictions on internet freedom. As TechCrunch noted, it’s still possible for users to create an App Store account under a fake identity from another country, though the process to do so is somewhat obscure. A VPN is the only way for users to bypass the Chinese internet censorship system (the so-called “Great Firewall”), which has only grown more stringent in the two decades since it was enacted and prevents an estimated 700 million people from accessing politically inconvenient parts of the web. A 2016 Washington Post article noted the Chinese government was willing to tolerate some VPN use, because it is“essential that domestic and foreign businesses be able to access information across borders, and it keeps the English-speaking elite happy to allow them a small window on the world.” But in January, the Chinese government issued an order requiring all VPN services to receive a stamp of official approval. It then moved to disrupt the VPN services most popular with consumers. ExpressVPN posted what it said was a letter they had received from Apple notifying them “your application will be removed from the China App Store because it includes content that it is illegal in China” and “it is your responsibility to understand and make sure your app conforms with all local law,” not just Apple guidelines. When major Western tech companies are faced with the choice of sticking to core values or losing access to the extremely valuable and growing Chinese marketplace, the latter option often wins out. In 2010, Google decided to shut down the censored China branch of its search engine service after it discovered the government had launched cyberattacks to gain entry to human rights activists’ Gmail accounts, though it is in negotiations to come back.